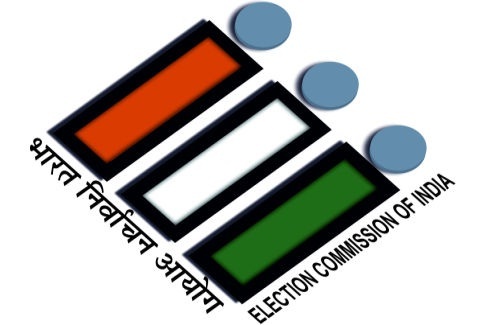 New Delhi: The Election Commission of India has issued an order regarding allotment of Broadcast and Telecast time to National and State political parties in the General Election to Legislative Assemblies of Goa, Punjab, Manipur, Uttarakhand & Uttar Pradesh 2017. An election Commission of India order issued on Wednesday says at the time of General Elections to the Lok Sabha in 1998, a new initiative for State funding of recognized political parties through free use of the State owned Television and Radio was introduced under directions of the Commission vide its Order, dated 16th January, 1998. The said scheme was subsequently extended in all the General Elections to the State Assemblies held after 1998 and General Elections to the Lok Sabha in 1999, 2004, 2009 and 2014. With the amendments to the Representation of People Act, 1951 vide “Election and Other Related Laws (Amendment) Act, 2003” and the rules notified thereunder, equitable time sharing for campaigning by recognized political parties on electronic media now has statutory basis. In exercise of the powers conferred by clause (a) of the Explanation below section 39A of the Representation of People Act, 1951, the Central Government has notified all such broadcasting media which are owned or controlled or financed wholly or substantially by funds provided to them by the Central Government as the electronic media for the purposes of that section. Therefore, the Commission has decided to extend the said scheme of equitable time sharing on electronic media through Prasar Bharati Corporation to the ensuing General Election to the State Legislative Assemblies of Goa, Punjab, Manipur, Uttarakhand & Uttar Pradesh -2017. The facilities of use of broadcast time and telecast time will be available only to ‘National Parties’ and ‘Recognized State Parties’ in respect of Goa, Punjab, Manipur, Uttarakhand & Uttar Pradesh. 1. The facilities will be available from the Regional Kendra of the All India Radio and Doordarshan and in the headquarters of Goa, Punjab, Manipur, Uttarakhand & Uttar Pradesh and relayed by other stations within the above mentioned States/UTs. 2. A base time of 45 minutes will be given to each National Party and Recognized State Party (recognized in respect of Goa, Punjab, Manipur, Uttarakhand & Uttar Pradesh) uniformly on the Regional Kendras of Doordarshan network and All India Radio network in the above mentioned States/UTs. 3. The additional time to be allotted to the parties has been decided on the basis of the poll performance of the parties in the last assembly election from the respective above mentioned States/UTs. 4. In a single session of broadcast, no party will be allocated more than 15 minutes. 5. The period of broadcast and telecast will be between the last date of filing the nominations for the first phase of poll and two days before the date of poll (in each phase) in the respective of above mentioned States/UTs. 6. The Prasar Bharati Corporation in consultation with the Commission will decide the actual date and time for broadcast and telecast. This will be subject to the broad technical constraints governing the actual time of transmission available with the Doordarshan and All India Radio. 7. The guidelines prescribed by the Commission for telecast and broadcast will be strictly followed. The parties will be required to submit transcripts and recording in advance. The parties can get this recorded at their own cost in studios, which meet the technical standards prescribed by the Prasar Bharati Corporation or at the Doordarshan/All India Radio Kendra. They can, in the alternative, have these recorded in the studios of Doordarshan and All India Radio by advance requests. In such cases, the recordings may be done at the State Capital and at timings indicated by Doordarshan/All India Radio in advance. 8. In addition to the broadcast by parties, the Prasar Bharati Corporation will organize a maximum of two panel discussions and/or debates on the Kendra/Station of Doordarshan/All India Radio. Each eligible party can nominate one representative to such a programme. 9. The Election Commission of India will approve the names of coordinators for such panel discussions and debates in consultation with the Prasar Bharati Corporation. 11. will be available in the denomination of 5 minutes with one voucher having time allotment from 1 to 4 minutes and the parties will be free to combine them suitably. The allotment of time to different political parties is given in a statement enclosed herewith.